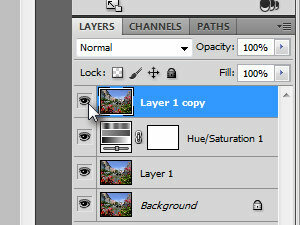 Press Ctrl + J twice, so you end up having three same layers (see picture). 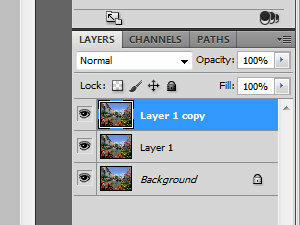 Choose the middle čayer (first duplicated) and disable the top layer's visibility (see picture). 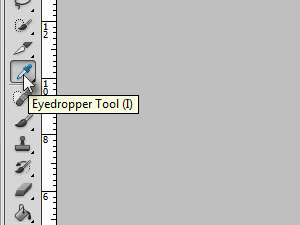 Choose the Eyedropper Tool (I for a keyboard shorcut). 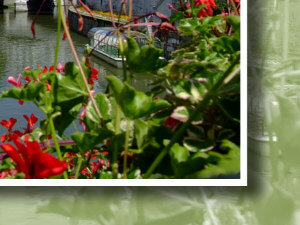 And click the most present color on your image. 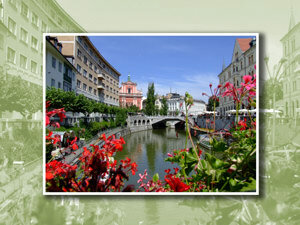 With this action (step 5) you just set the foreground color (glej sliko). 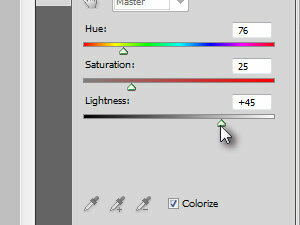 In the Hue/Saturation settings window enable the Colorize option and increase the Lightness a bit. 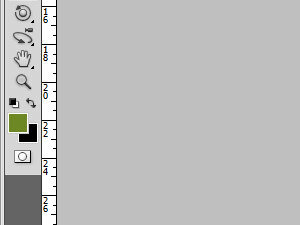 This is how mine looks at this point. 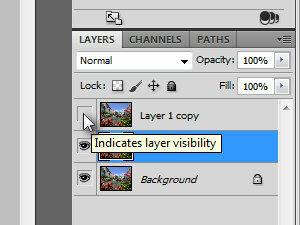 Choose the upper most layer and enable its visibility (see picture). 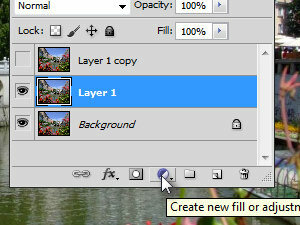 Press Ctrl + T, to enter the free transform mode, click and hold the edge of the layer and decrease its size. 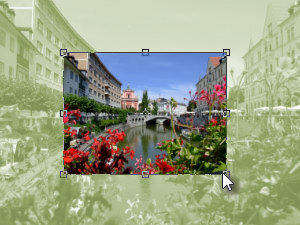 Press and hold Shift key whole resizing the layer to keep the layer proportions in tact. 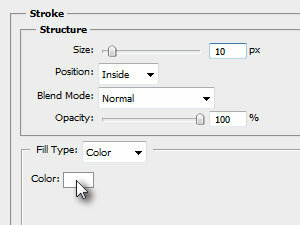 In the Stroke settings window set the Fill Type color to white and choose the same similar settings as I did. 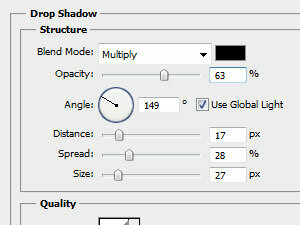 In the left pane click Drop Shadow and again choose the similar settings as I did. 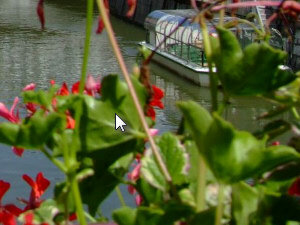 Confirm the changes you just did by clicking OK.
And the view of the whole image.